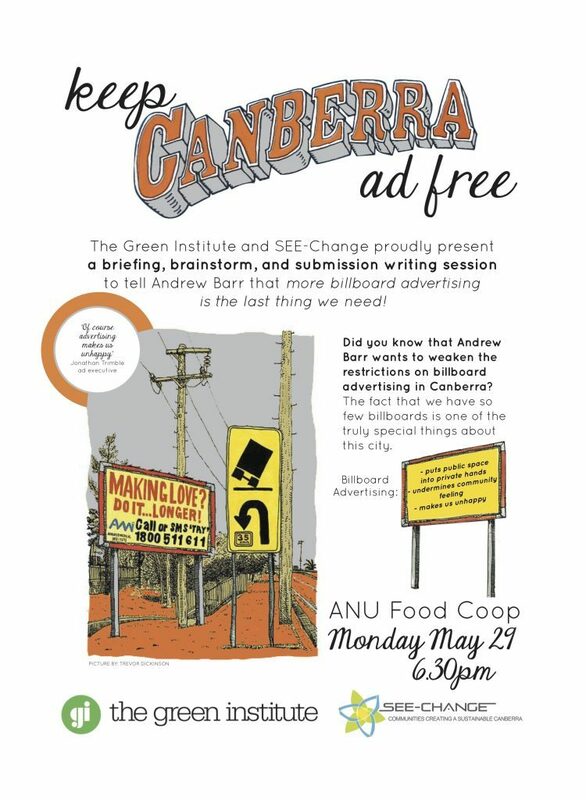 The campaign to keep Canberra Ad Free, in response to Chief Minister Andrew Barr’s proposal to open up the city to more billboard advertising, got a huge boost today with Green Institute commissioned polling showing that 90% of Canberrans want either the same amount or even less advertising. Remarkably, 48% of Canberrans say there is already too much advertising and they want less, with another 42% saying it’s enough. We commissioned this poll because the Committee’s report clearly did not take the enormous opposition in the submissions seriously. Indeed, community representatives were told by certain Committee members that they did not believe the submissions were representative of broad community feeling. Surprise! The poll backs the overwhelming weight of submissions. There is a powerful message in here that, as our city grows and develops, with new suburbs, the light rail network and more, Canberrans want to protect our very special advertising-free environment. We’re calling on Mr Barr to immediately announce that his government will maintain the strong limits on public space advertising that Canberrans love about our city. 78% agree that the advertising free environment of Canberra makes it a more pleasant place to live than other bigger cities. Surely the point needs to be made that commercial ADVERTISING significantly contributes to the consumerism that is destroying so much of the life that we depend on.